Dead Presidents, deceased dictators, passed poets and reigning sovereigns – they watch us daily, as we swap goods for labor-power, as we sell commodities and buy resources, as we hawk dues and invest in securities, as we barter mining rights for dumps and pass printed paper for vouchers, tickets, coupons, slips and receipts, ever so lightly tickled by Adam Smith’s invisible fingers. 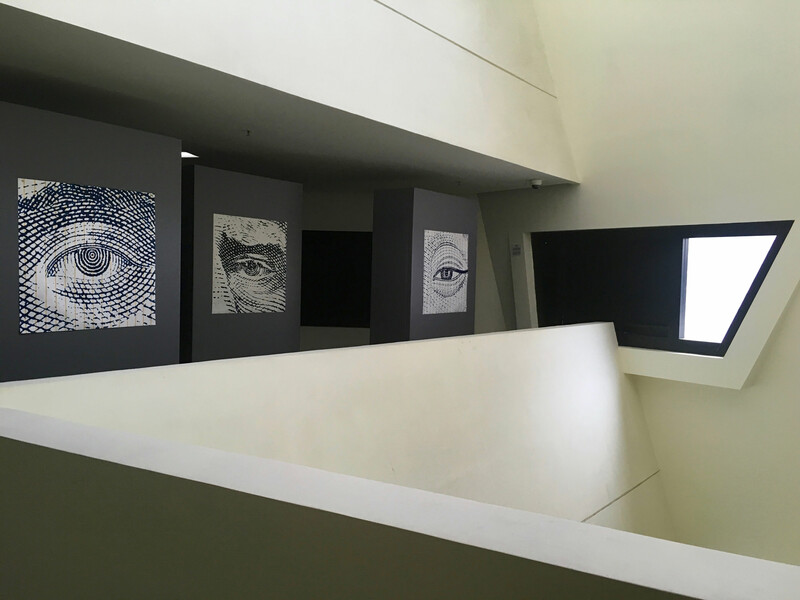 My prints of the “ Face Value” series are enlargements of eyes from the 'heroes' on banknotes from various countries. The text and figures you find with an augmented reality app are quotes from specialists on finance and graphs of different situations, all connected to the person portrayed. The first series consists of international notes such as Korea, Japan, UK, Singapore, USA and Vietnam, whereas the second series depicts only banknotes which were replaced by the common European currency Euro.Both series are printed as small booklet, which can be >> downloaded as PDF here. Images: 6 images printed on Tyvek, each 84x84 cm. 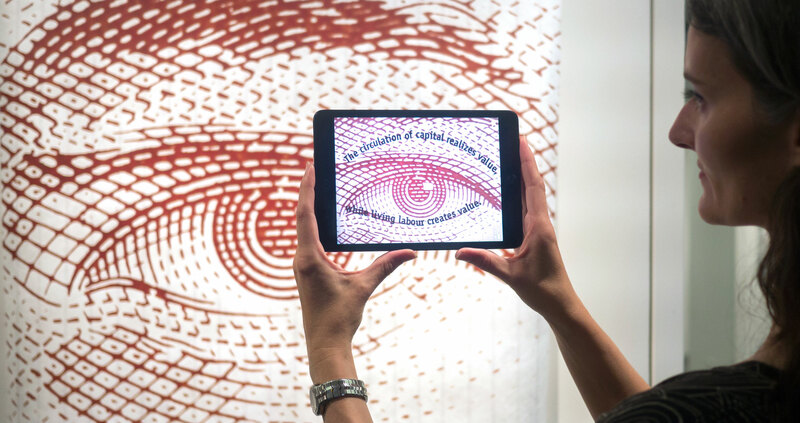 Top: Exhibition view in Amsterdam, Grid Festival 5&33 Gallery, Centre: SGD with Augmented Reality Layer, Bottom: Exhibition view during ISEA 2016, SCM gallery, Hong Kong.If you may be in front of the original prints with a mobile device, please access the additional layers with the App Aurasma on the channel Face Value.